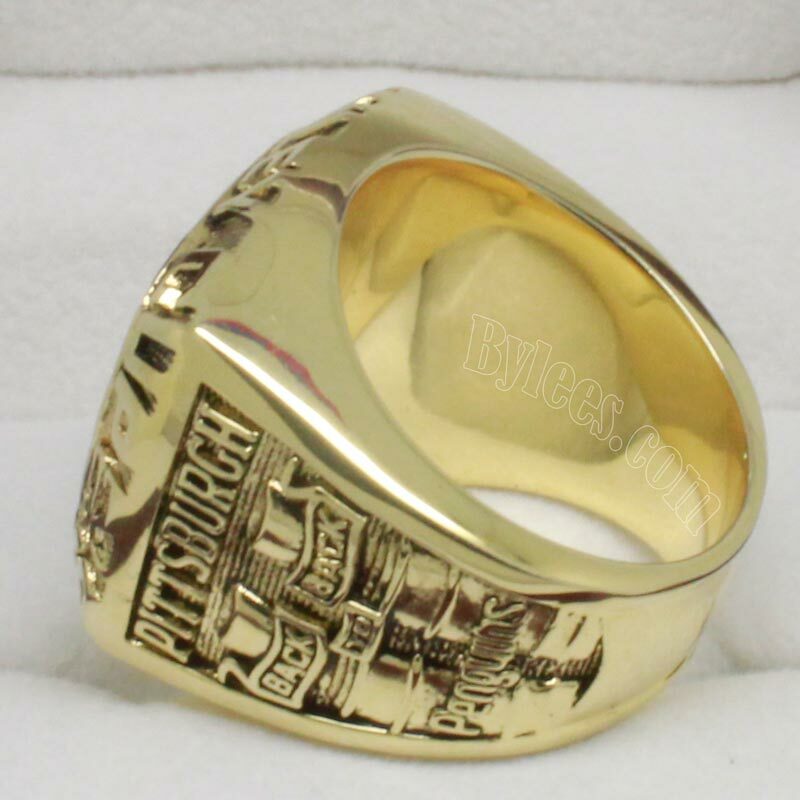 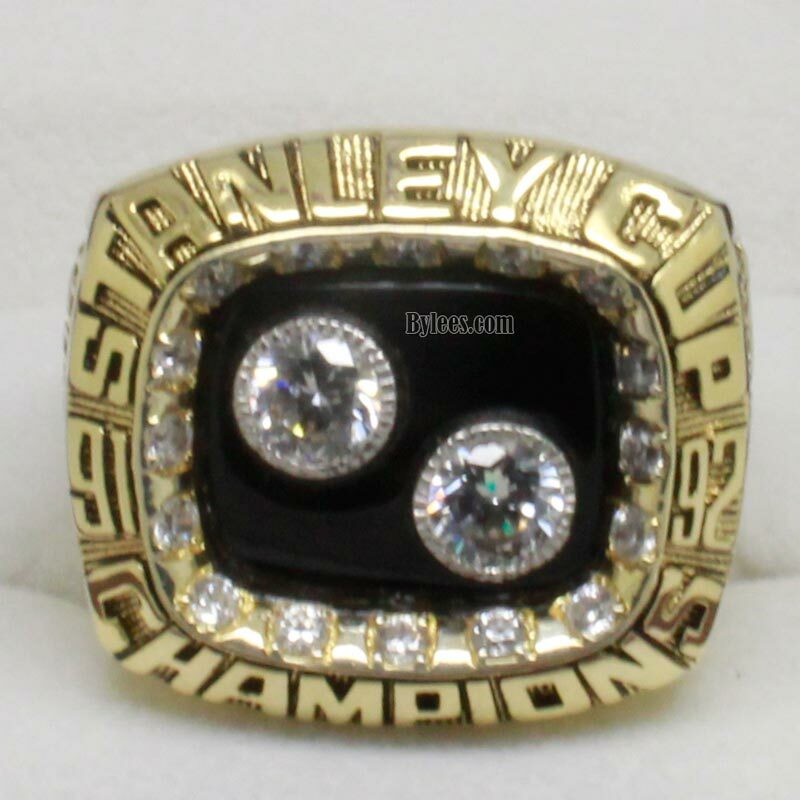 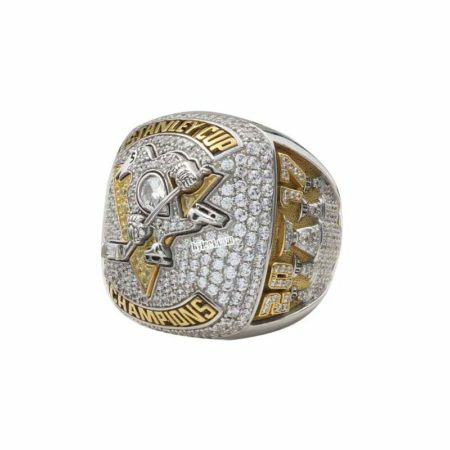 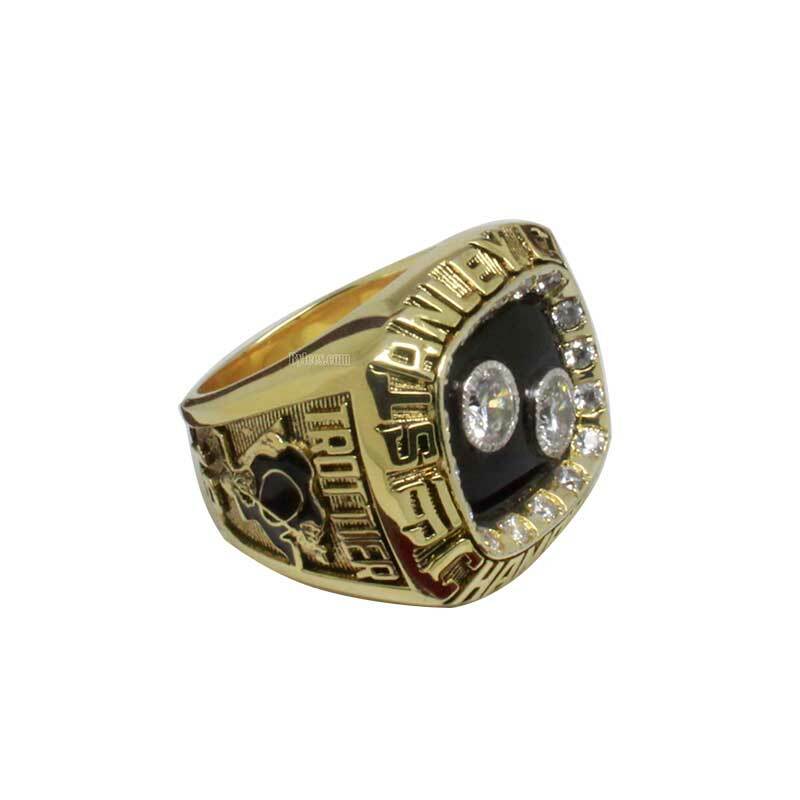 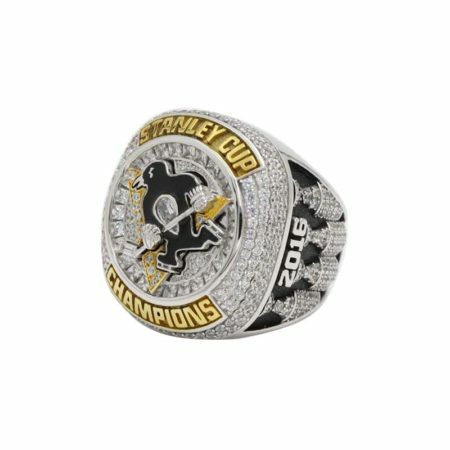 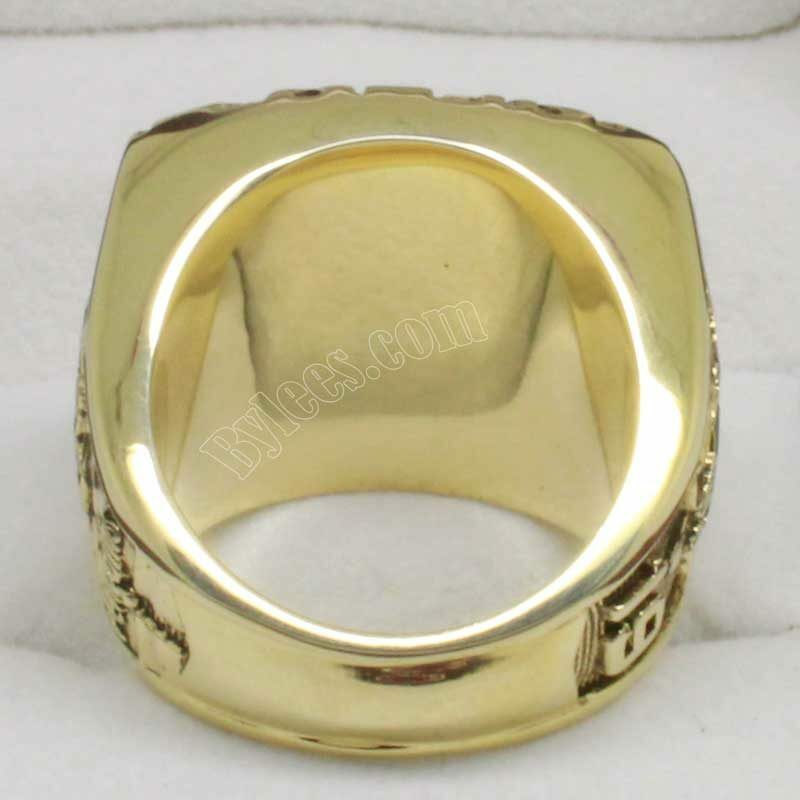 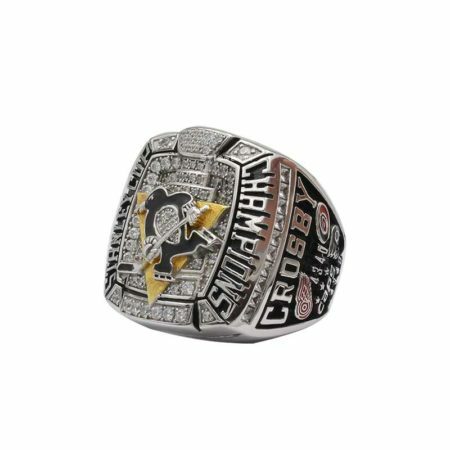 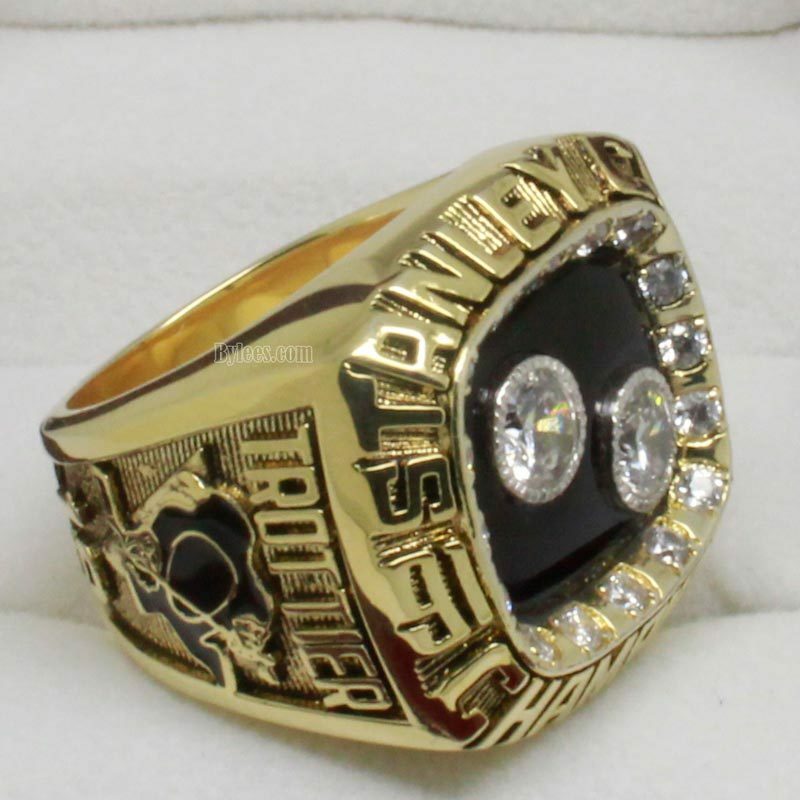 1992 Pittsburgh Penguins Stanley Cup Championship Ring commemorated the NHL Championship series of the 1992 Stanley Cup Final during the 1991-1992 season. 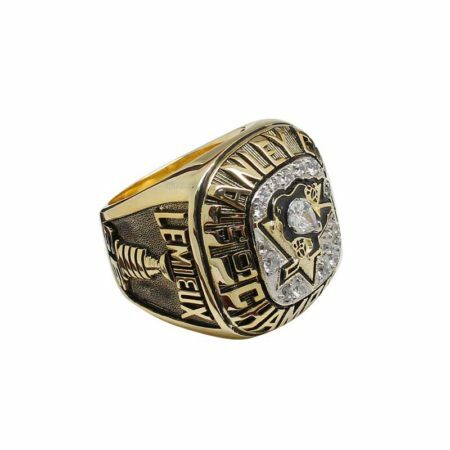 Mario Lemieux and the Penguins came back to win the game, swept the series in four games, and won the 1992 stanley cup ring, which is also their second consecutive Stanley Cup ring. 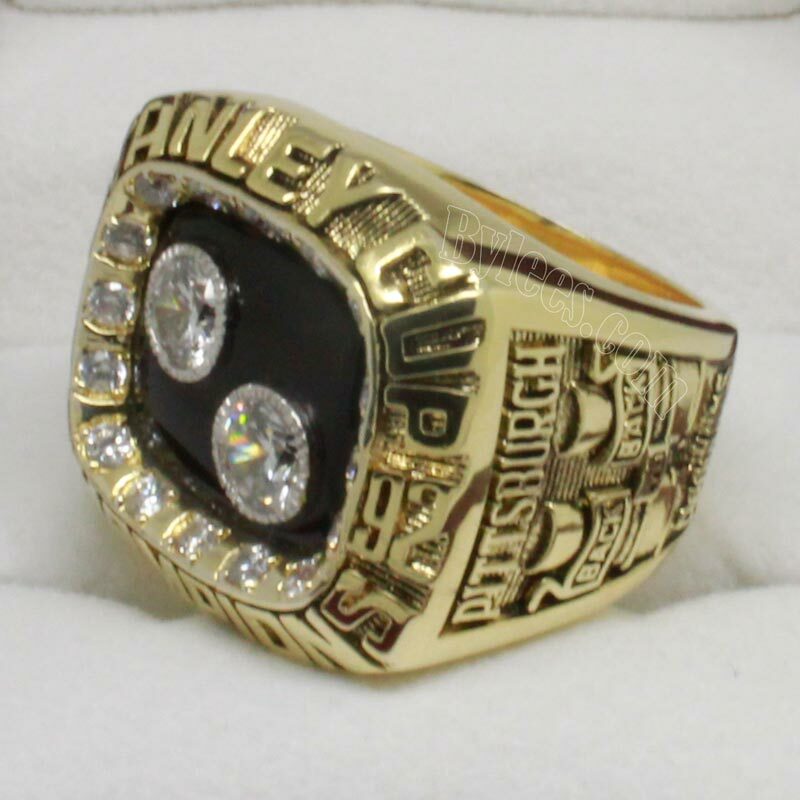 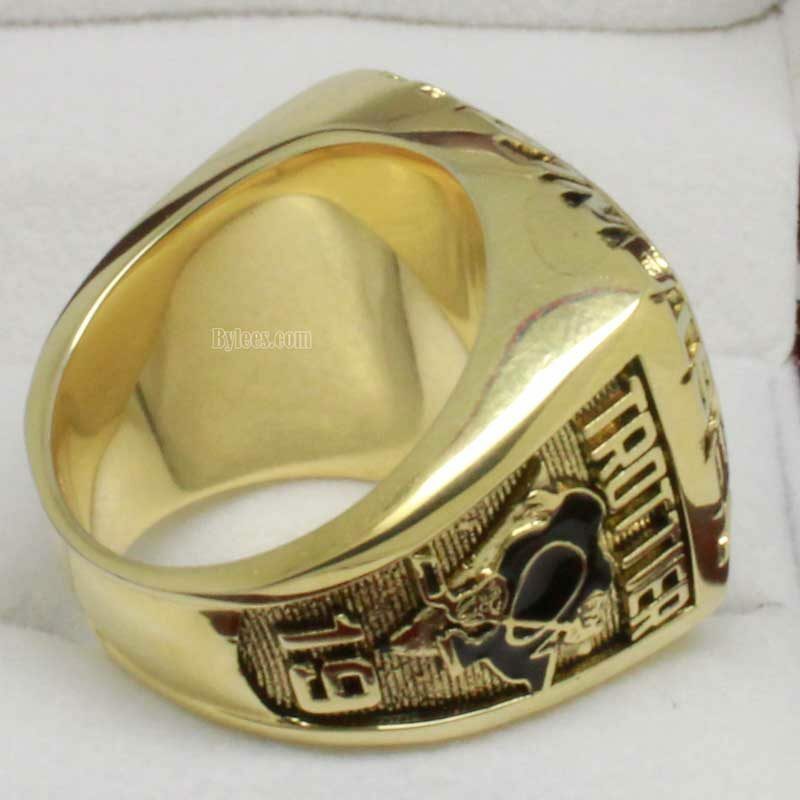 The version here is Bryan Trottier 1992 Pittsburgh Penguins Stanley Cup ring, this is his 5th stanley cup ring, he worked as a free agent to lead this young team.